Living in Brooklyn and working in Manhattan? That’s a reality for many of us. And while so many people around the world consider us lucky just because of the mere fact that we live in NYC, I fail to think so during most of my morning and evening commutes. The NYC Planning Commission came up with the average commute time for New Yorkers – it’s a bit more than 40 minutes, which is about 14 minutes more than the national average. And like that’s not bad enough, New Yorkers often use public transport to commute, while residents of many other American cities suffer through their daily commutes sitting comfortably in the privacy of their AC cars, listening to music or their favorite podcasts. This is why, ladies and gentlemen, it matters a lot where you’re based in NYC. So here are the best Brooklyn neighborhoods for commuting to Manhattan. Looking for Best Brooklyn neighborhoods for commuting to Manhattan? 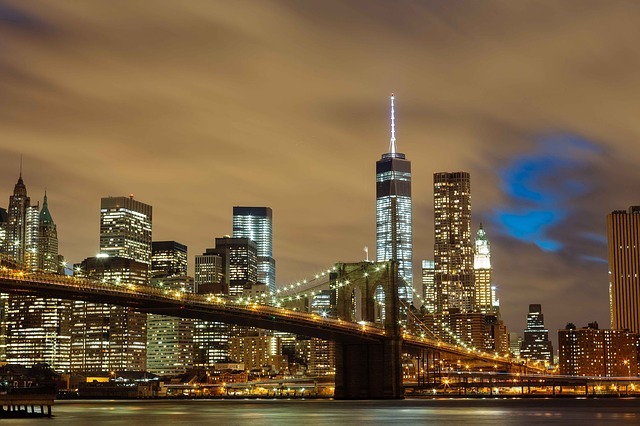 If you’ve ever been thinking of moving to New York City (or moving locally in Brooklyn for that matter), you’ve already contemplated on the three crucial things: size, location and price. You know that you’ll need to compromise on at least two of them, possibly all three. In this particular situation, it means you might end up living outside of Manhattan even though your office is located there. The Brooklyn neighborhoods closest to Manhattan are also very pricey, especially the areas that have been gentrified the last 10-15 years or so. However, there you are, interested in the best Brooklyn neighborhoods for commuting to Manhattan and willing to compromise on the size and price. But don’t get obsessed with the commute only. Yes, you’re looking for no more than forth-ish minutes of commute to midtown or downtown, but make sure you really like your neighborhood. This is very important in NYC, as many residents have no car over here. For that reason, most of our social lives revolve around the neighborhoods we live in. So take various things into account and choose wisely. It’s great to live in Brooklyn and its vibrant neighborhoods. This neighborhood is south of the Brooklyn Bridge and just across the river from Lower Manhattan. Obviously, it’s a great choice if you’re considering daily commutes to Manhattan, but as you’ve probably assumed it’s a very pricey location. If you can afford it, the accessibility is great and the city views are amazing. It’s hard to beat this place. DUMBO is located next to the Brooklyn Heights and kind of in between the Brooklyn Bridge and the Manhattan Bridge. If you’ve always wondered what the name means, it stands for Down Under the Manhattan Bridge Overpass. Nowadays, it’s an upscale residential and commercial area with many former industrial buildings converted into spacious luxury residential lofts. It’s also known as home to so many tech startups, so if you work at one of those, you won’t even need to commute to Manhattan daily at all. But if you do need to do it, then this is a great place to be. This is a great option if you’re looking for the best Brooklyn neighborhoods for commuting to Manhattan and particularly if you work in downtown. You’ll need to take a bus and a train, but if you choose the right spot to settle down you have a shot at a 40-minute commute. Red Hook is located on a peninsula looking over the Upper New York Harbor and is known for its laid-back vibe and for being home to many families and creative professionals. That’s one more reason to choose this area – if you belong to the industry, you’ll enjoy cozy eateries, eccentric bars, peculiar art galleries and above all the creative community of the neighborhood. 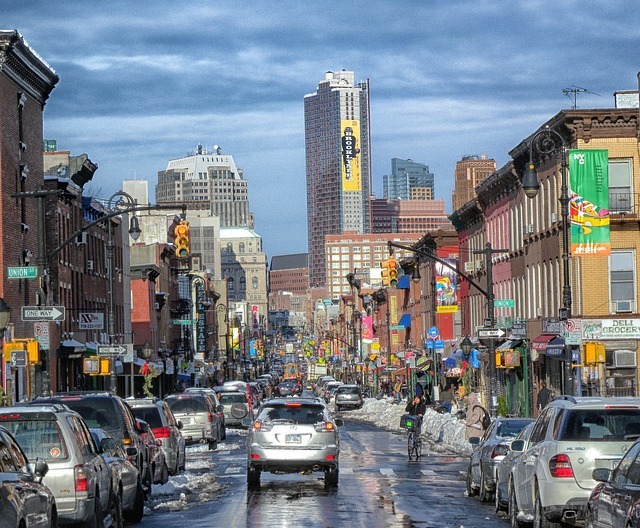 Van Brunt Street is the main street in the area and you’ll find many great places over there. This is where you should consider living if you work in Midtown West. Just try to live near the 2 train and you’ll be fine. More good news for you, the 2 train is pretty reliable. At some point you might need to switch to the 1 train though, but you’ll still make it to your office in about 40 minutes. Crown Heights is located in the central portion of Brooklyn and is known for beautiful architecture, lots of brownstones and medium-sized buildings. Eastern Parkway, a lovely tree-lined boulevard extends 2 miles east-west. This is the place to be if you work in Midtown East, but it’s so much more than that. Arts and nightlife scene is very vibrant, so this neighborhood is popular with art schools graduates. It’s a great place to shop for books, admire street art, go to a brewery, dine at the movies or just generally enjoy some great food, have a drink or visit a gallery. Apart from commuting to Manhattan? Because it’s a vibrant and exciting place, known for its diversity and popular with families and young professionals. If you’ve been thinking about it already, hire some reliable NYC movers and choose one of the best Brooklyn neighborhoods for commuting to Manhattan to settle down. Why do families choose to live in Brooklyn? Because this is where you find beautiful parks, walkable sidewalks, great communities and family-friendly activities – such as the Prospect Park Zoo and the Brooklyn Children’s Museum, to name just a few. And the list goes on. 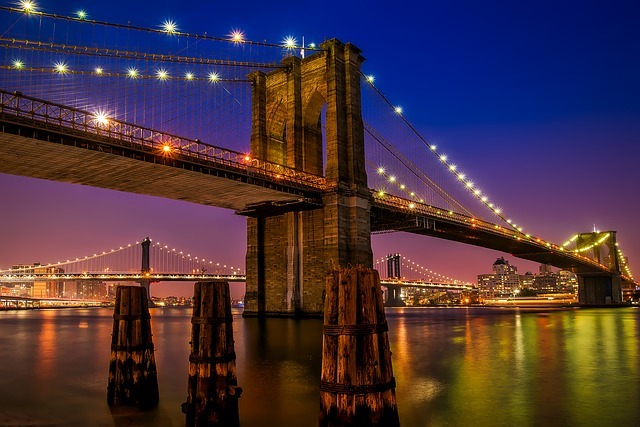 Why do young professionals love Brooklyn? Because there are many job and business opportunities for writers, artists and entrepreneurs. Why do the rest of us adore Brooklyn? Because of its sense of community, its many parks and fresh air. Because Brooklyn has something for everyone and anyone. And because you don’t have to possess a car while living here. Wait, wait, wait! Weren’t you the one complaining about commuting on the subway, you might ask? I actually did. Just like many of us keep complaining about the New York weather and they still stay. But hey, New York is still just as vibrant and amazing as it’s always been, isn’t it? It is and even though its grumpy residents sometimes underappreciate the mere fact that they are living in NYC, they still never leave.